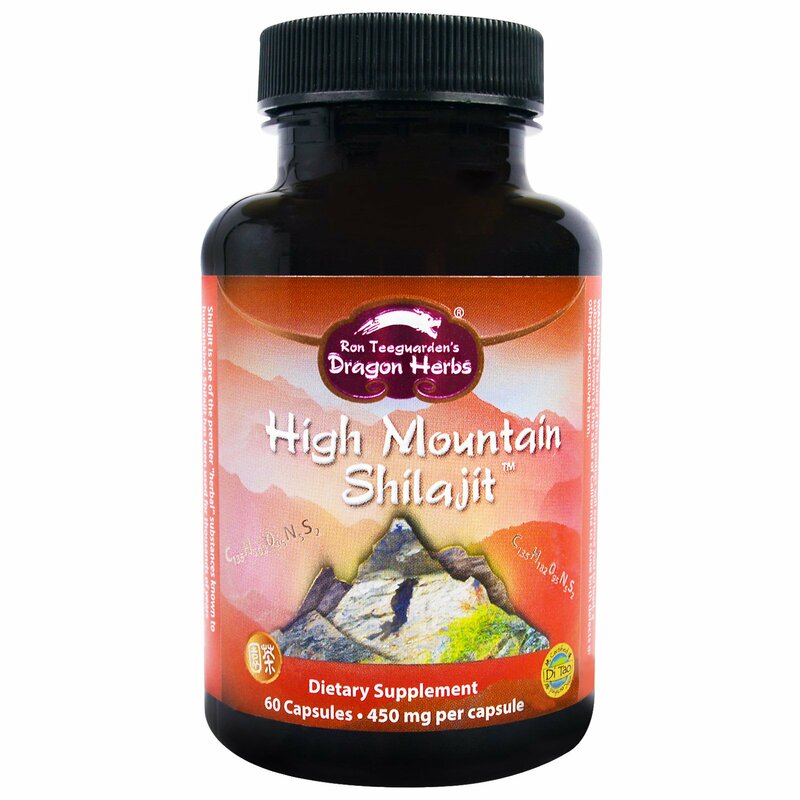 Shilajit is one of the premier "herbal" substances known to humankind. Shilajit has been used for thousands of years throughout much of the world as a tonic. Shilajit is the purified exudate from Himalayan rocks and cliffs, rich in fulvic acids and minerals. Dragon Herbs High Mountain Shilajit is the finest Shilajit available in the world, from the remote Western Himalayas, collected in its purest and most potent form at very high altitude, and then further purified and concentrated. High Mountain Shilajit fits perfectly into every tonic and superfood program. 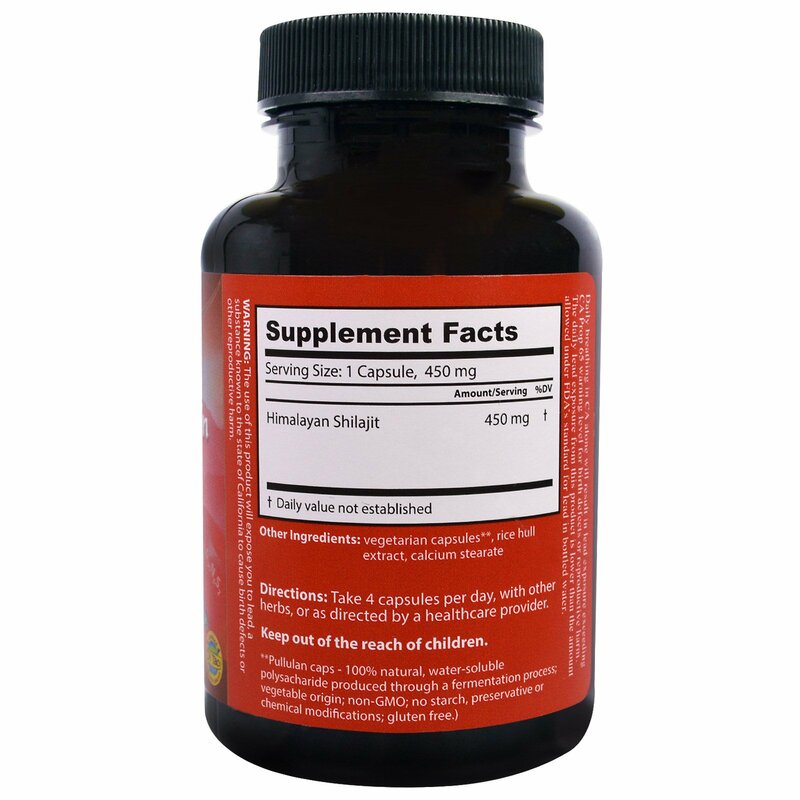 Take 4 capsules per day, with other herbs, or as directed by a healthcare professional. Vegetarian capsules**, rice hull extract, calcium stearate.